The first impression you’re going to make with a potential employer will most likely be with your CV. On average employers only scan the first two pages of a resume, and from the scan they will deduce whether it’s worth exploring further. This means you’ve got less than 2 minutes to grab their attention and sell yourself. If your resume doesn’t measure up then don’t expect to get any calls. Everyone can agree that any leverage you can add is crucial, especially with such a competitive job market. This is where you’ll find the following professional resume WordPress themes very useful, because they will make you look more than just a little qualified. All you have to do is get a website domain, register with the WordPress platform, and load the theme that suits your personality. From there you can stylishly showcase everything that makes you the perfect employee. 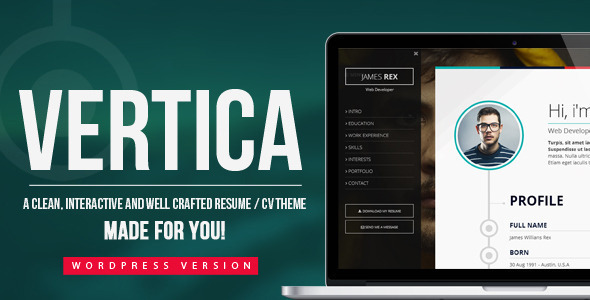 Your experience, education, special skills and creativity can easily be projected through the following WordPress themes for CVs and personal resumes, thanks to the many features and layout options. Once your resume is in place all you have to do is send a link to the right person, and they can access it through just about any platform. That’s right; these resume builder WordPress themes are responsive and ready to prove you are the best choice for the job. All of them are specifically focused at making it interesting for employers to go through your credentials, but at the same time they are easy to establish on your side. 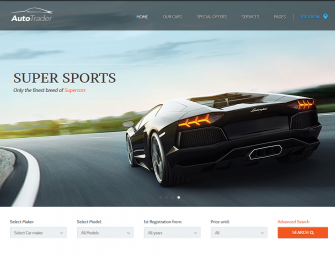 It’s built with clean and modern HTML5 and CCS3 code, and it’s incredibly easy to customize. The features include CSS animations, a pricing table, unlimited backgrounds and colors, and a very unique design element. 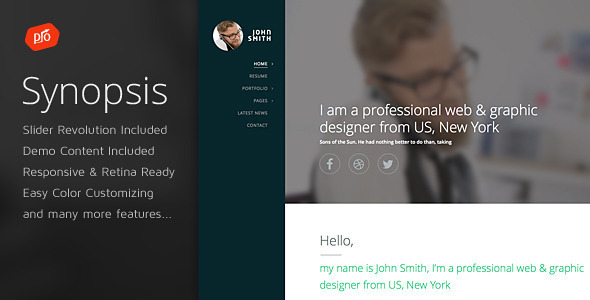 What really stands out from this WordPress theme with employee profile is the overall layout. It doesn’t get any simpler than this, because every aspect of your CV enjoys a distinctive section. In other words, potential employers can easily view your work history, education and additional skills thanks to info tables and the visual graphics. If an employer has a specific quality in mind, it will quickly become visible with the theme. If nothing else, the theme will show you are organized and ready for anything. As expected, the site is responsive and compatible with all major browsers. 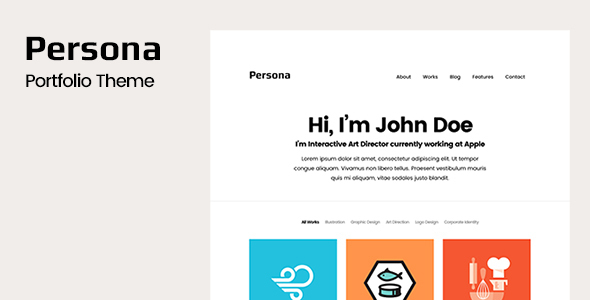 This is currently one of the best-selling work portolio WordPress showcase themes in the Themeforest catalogue, and with good reason. Everything you’d expect from a platform that offers a professional finish is built into this theme. The overall design is clean and minimal, so there aren’t any distractions of any kind, and you’ll quickly get your message across. The features include a fully responsive layout, a semantically correct and SEO friendly setup, a custom color scheme and a visually appealing timeline section. The RScard allow you to effectively showcase your professional background on a single page, while the timeline sets your experience apart. Whether you’re an individual or a company looking to land contracts, this theme will get you there. It’s got an availability calendar and the Isotope jQuery plugin is part of the standard package. Here we have another best seller, and if you were wondering how to create an online resume using WordPress, you won’t need to look further than this. The elite authors behind this fantastic WordPress CV theme have been building on a winning recipe since 2015. Even though it has been inspired by the Bootstrap framework, it’s essentially a custom design with incredible flexibility and power. Some of the main features include HTML5 & CSS3, cross browser support, retina ready graphics, smooth scroll, a layered PSD source file and a fully responsive layout. Several bonuses accompany the theme, such as the parallax effects and sticky menu. Overall it’s very practical, functional and sleek. This is a theme with a slight twist thanks to the horizontal view. 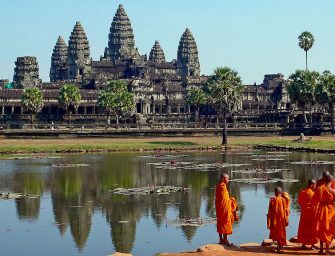 People in the creativity business, such as photography and art, will find it especially appealing. The horizontal slide does bring something different to the table, which is exactly what professionals in the visual field require. But the experience is enhanced even more with the impressive portfolio presentation. As you’d expect, this WordPress theme with employee profile is fully responsive and comes with an array of innovative options. The toggle menu is great to work with, the overall execution is original, and it makes a necessary impact. If you’re looking for that professional finish then this is the theme you’ve been looking for. 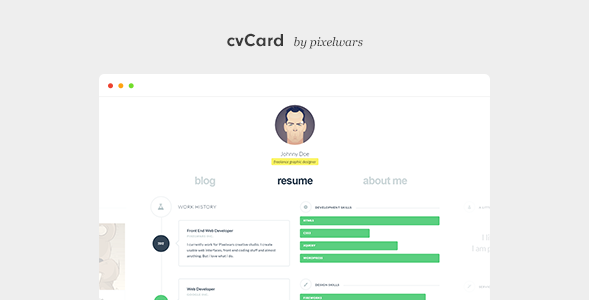 It’s a simple one-page design, which comes with unlimited color schemes, and it gives the classic CV structure a bit of an edge. Bar graphs can be implemented to bring on the professional look and it really paints the picture of a straightforward individual. Slider revolution is a default you get for sure. The presentation does have a “modern technology” feel to it, which is a good start if you’re heading in that direction. Despite the basic appearance, this work showcase WordPress plugin is very functional and you have several options in terms of customization. Other features include a fully responsive layout, retina ready, the option to video documentation, and the demo content is also integrated. It’s modern and it’s effective. 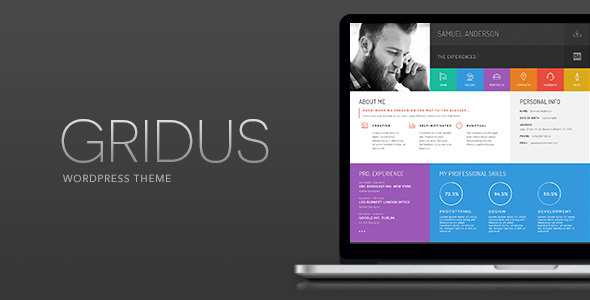 The Gridus resume template for WordPress puts more than just a little magic into your skills. In fact, the design is very thought-provoking. All the immediate information can be displayed on a single page, which is stylishly set apart. The rest of your credentials can quickly be navigated through the menu. As far as colorful designs go, this is definitely one of the more daring ones. As with several of the other designs mentioned already, there is a blog section if you want to bring more depth to your CV. In terms of technical information, you’re looking at a fully responsive template that’s retina ready and built on the Bootstrap framework. Other features include choosing between a box or wide layout, 8 color schemes that can help you get started, and a working contact form. The authors of this design were definitely aiming for a very modern approach. It’s a single page template and scrolling down the relevant information has a very smooth feel. The theme isn’t anything if not fresh, but it maintains a professional finish. It offers you an impressive variety of isotope projects and gallery. For instance, you can choose among 12 project listing types, 18 project single types, 4 blog listing types and 27 blog single type. You can be sure there won’t be any confusion regarding navigation. It’s 100% responsive to all screen sizes, 100% retina ready, comes with a special lightbox portfolio option and it’s even easier to install everything. 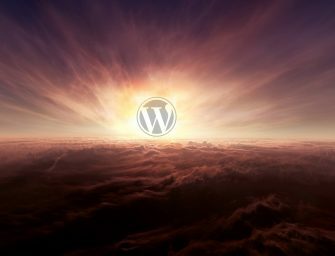 Just like all the other sites listed here, this WordPress theme is also going to give you a serious edge. The word that comes to mind when working with this theme is suggestive. For everyone looking to learn how to build a website that looks like a CV, you’re in good company. Do yourself a favor and check out the live demo, because you’ll be impressed from the first second. This theme makes your readers aware of your ability to get straight to the point in an interesting but still neatly pragmatic way. It helps to keep the focus on the person applying for the job and it looks very professional. 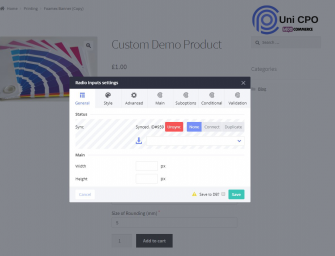 This is an Ajax enabled theme with a fully functional contact page and options for several media forms, such as videos and pictures. You can easily customize the theme to suit your needs and you don’t have to worry about a responsive layout, because it’s already taken care of. 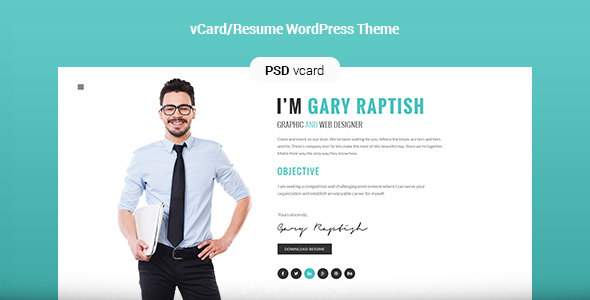 As far as creative CV website ideas using WordPress is concerned, you can place this theme at the top of the list. 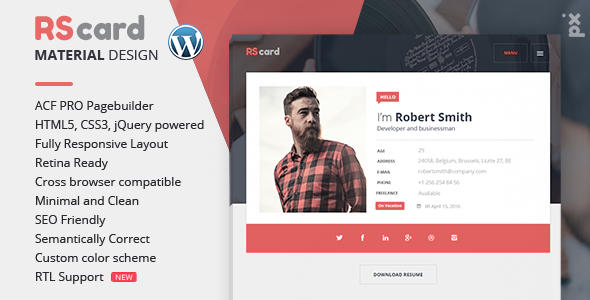 If a good first impression is what you want to make, this premium resume theme for WordPress won’t let you down. The template’s main page eloquently displays your “digital dossiers” in vertical menu tabs (e.g. About, Portfolio, Resume etc.). You can extend the number of tabs without any limit by having also the chance to use custome tab background images. 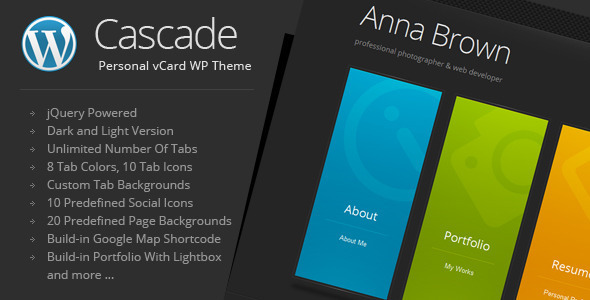 This fully responsive and jQuery powered theme has build-in lightbox, and the google map shortcode, working contact form, latest tweets widget are also enriching it above the standards you’d expect from a vCard theme. 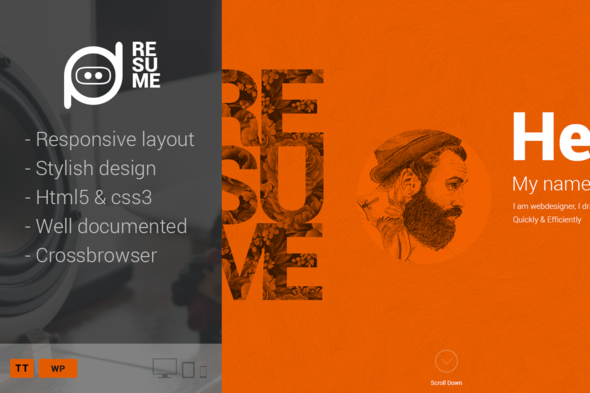 While you’re searching for the best free creative resume templates and professional resume WordPress themes, take a moment to explore this multi-purpose platform. Apart from being incredibly easy to use, it looks absolutely stunning. The design is the perfect showcase for professional and creative individuals, the live customize options together with the additional 9 visual composer elements make this theme a blueprint for excellent profile-illustration. Some of the other features include an active contact form, Google web fonts, optimized code, a fully responsive layout and it’s 100% retina ready. More importantly, it will grab all the attention you need from your new employer. 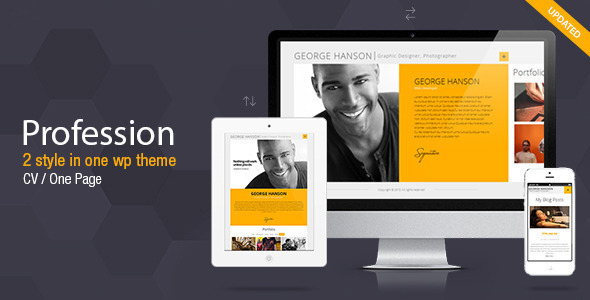 There are three main benefits of using resume WordPress themes such as those mentioned above. Firstly, the themes all have SEO potential, which means employers looking for somebody with your specific set of skills can easily find you online, even if you didn’t apply for the job. It functions just like a typical website would and it will get a Google ranking. Secondly, it’s a lot easier to maintain and spread around. In fact, it’s a lot more practical. All you have to do is send a link to the companies that are hiring, which takes all of 2 seconds. Last but not least, an online resume just looks much better than its paper counterpart. This is the modern world and you have the opportunity to utilize the functionality that comes with it. So, if you haven’t considered an online CV yet, now’s the time to start.